Enjoy beautiful ocean views from this second story studio. 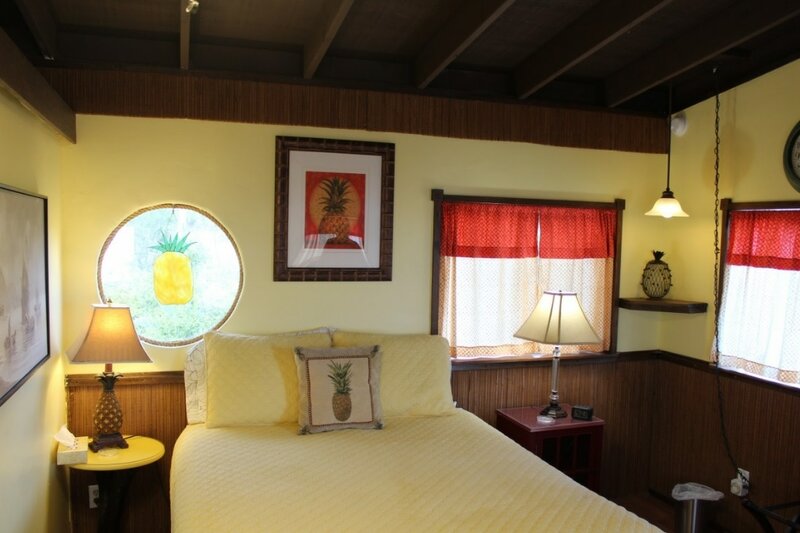 You can sit in the dining area or on the lanai and just take in the beautiful sunset over the ocean. This studio has a very comfortable queen size bed so you can get a good nights sleep after a full day of activities on our beautiful island. The kitchen is fully equipped with everything you could need. The bathroom has a large shower, vessel sink, and granite countertop. 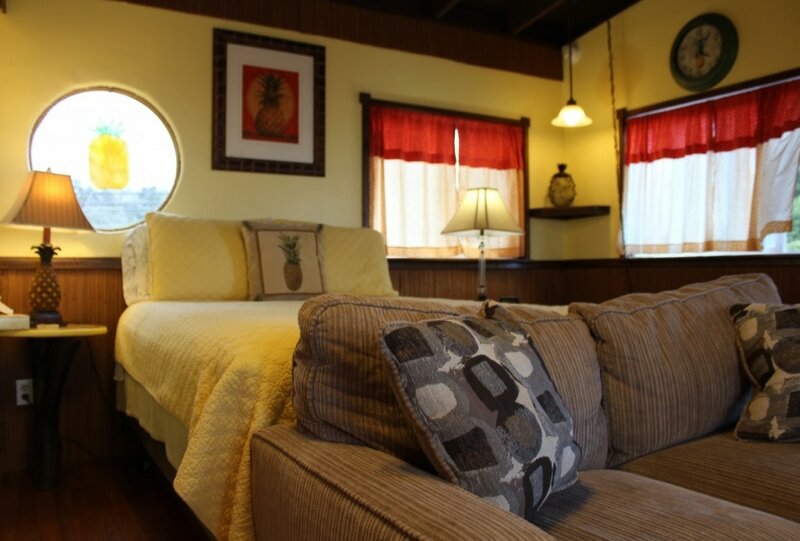 This lovely studio is located on a very peaceful, fully planted acre that is filled with trails leading to the gazebo and the main house (where guests that stay 4 or more nights have access to the washer and dryer). two grocery stores, three gas stations, and a post office. I taught school for 35 years and decided it was time to retire. Who wouldn't like to retire in Hawaii? I had the opportunity so I took it. I am not one to just sit around. The home I purchased has an Ohana below the main house so I decided to open a bed and breakfast. Guests kept saying I need to expand. I found this property and did just that.